Don't let your data fall through the cracks. Uncover hidden insights & drive data-backed decisions with retroactive analysis. Define events within Heap and start querying all your data in just a few hours. 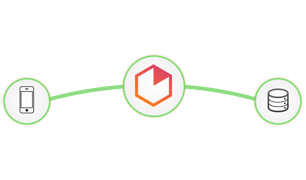 Seamlessly connect Heap SQL with Chartio & get instant insights into your user behavior. Easily explore your data in Chartio to quickly answer your questions & unlock new insights. How many times did a user visit your site before converting? Heap automatically captures every user interaction, including clicks, form submissions, page-views, input changes, etc. 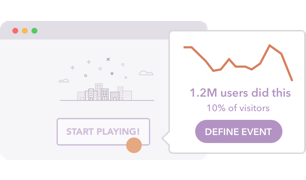 to provide insights to make sense of user behavior after the fact. Effortlessly blend user data with sales and payments data to get a complete view of your performance without the help of engineerings or analysts. Which pricing plans sent in the most support tickets? Anyone can easily query and analyze their customer service and payments data in minutes. Dig deep into your data to make accurate and timely decisions. I have gone from waiting on reports for 1-2 days to creating my own within minutes. Chartio gives us instantaneous access to our data, showing us a 360 degree view of how our team is doing without relying on an engineer or analyst. 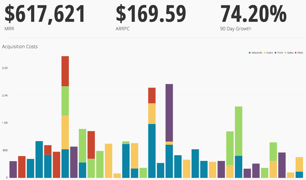 Chartio is a powerful business intelligence tool that anyone can use. Simple to set up and easy to use, Chartio enables anyone to explore their data in real time. Chartio’s drag-and-drop interface writes queries for you, or you can write and share your own SQL queries. With Chartio, anyone can build beautiful dashboards and visualizations and share them across the organization and with their customers.